Could your company benefit from a modern, state-of-the-art labor management tool that saves time and money? Would you like to make life easier for your managers and employees? We can help you do that so you can spend more time generating other business value! Used & Loved by Thousands - Make Your Shift Today! "The communication between me and my employees and my employees and each other makes it so mistakes do not happen. Also, I really appreciate how willing and able Orbital Shift is to work with our unique scheduling needs." Scheduling and workforce management are inseparable processes in any organization. Our online staff management software enables you to create customized shift schedule templates. You’ll be able to quickly and easily confirm coverage of predetermined scheduling needs for any department or work group in your organization. 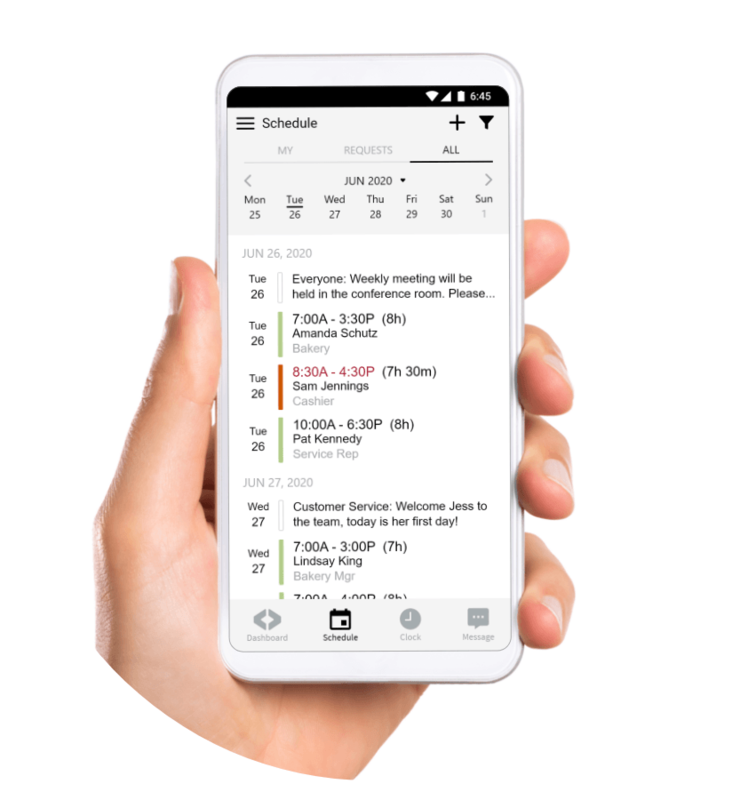 You also get the benefit of mobile employee scheduling integration, as well as the ability to view all scheduled labor hours and all shift transfer controls. Our labor management solutions also include online time clock software that enables you to create convenient time clock stations throughout your facility. Each station will provide your employees with a centralized location where they can clock in and clock out, make schedule requests and review important scheduling notes posted by management. From a labor management perspective, you’ll be able to determine when employees stay on the clock too long or fail to clock in for their scheduled shift. You can even create customized settings to control how early your staff can clock in. These days, timely communication is an essential part of effective employee management. Our workforce management software facilitates staff communication via messaging, notes and email alerts. You’ll be able to promptly communicate schedule changes and other pertinent information. Your staff will also be able to make scheduling requests and volunteer to cover open shifts online. Using Our Labor Management Platform Is Easy! Whether you use our software for workforce planning and scheduling or time and attendance monitoring, you’ll find it to be simple and intuitive. Our software solutions are fully supported. We provide easy-to-follow, step-by-step video tutorials that make them easy to learn. What’s more, our staff management solutions are totally Web-based, which means there’s no additional hardware or software to purchase or install. And when you add our scalable, subscription-based pricing structure to the mix, it’s not hard to understand why our online management software is used by companies of all sizes across a wide spectrum of industries. 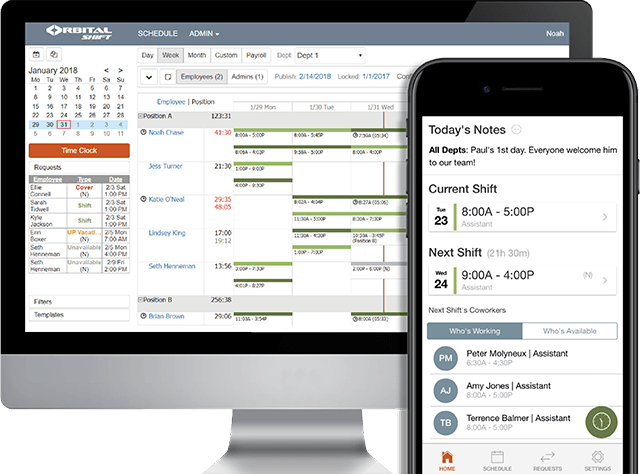 Orbital Shift workforce management solutions come with a free 14-day trial. Find out how our software can increase your efficiency — and profitability — on a risk-free basis. 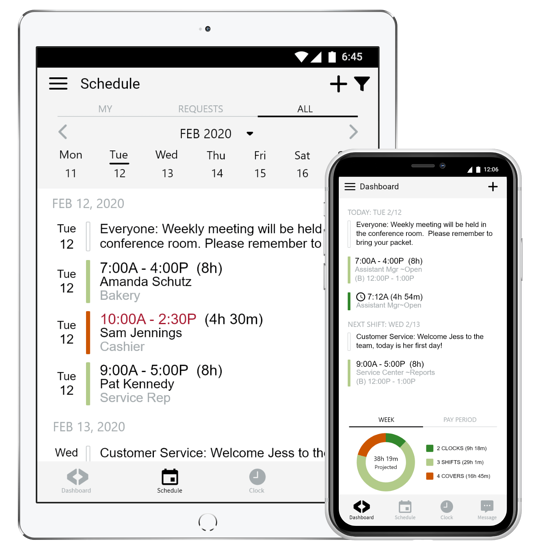 "Using Orbital Shift has cut my time down to 1/3 of what it previously took me to create and maintain schedules, saving me a ton of hours each week. " "Orbital Shift makes my life 10 times easier! Now communicating with staff, getting shifts covered, and working around school schedules and vacations ... no more miscommunication. It's all online." Get the same benefits these clients are getting today!